Personalized Lawn Care, LLC has been providing quality lawn care, landscape installation and maintenance since our founding in 1989. It is our mission to provide the client with the highest level of service and quality. We believe the best way to achieve this goal is to initiate an open and honest relationship with our clients, set realistic expectations, and consistently meet or beat those expectations on every project. To meet this goal we have initiated adding the highest level of qualified employees. 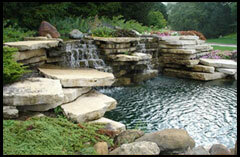 Personalized Lawn Care, LLC is one of St. Louis’s most respected and experienced green industry companies. Personalized Lawn Care LLC offers a full range of services; including lawn care, landscape design, landscape construction, sprinkler systems and complete landscape management. 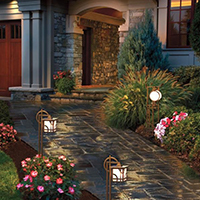 At Personalized Lawn Care, LLC we are committed to providing exceptional service and value to each and every customer. We are proactive and address problems that may arise with the same sense of urgency our customers feel, never losing sight of our mission to create beauty. We are able to do this for no other reason than our people. The Personalized Lawn Care, LLC team is a group of remarkably talented, dedicated and knowledgeable people with an unparalleled work ethic. Darren Edwards has served as Personalized Lawn Care as the Owner/Founder since 1989. Darren has expanded the business with landscape design and construction due to customer desires forming Personalized Lawn Care, LLC.